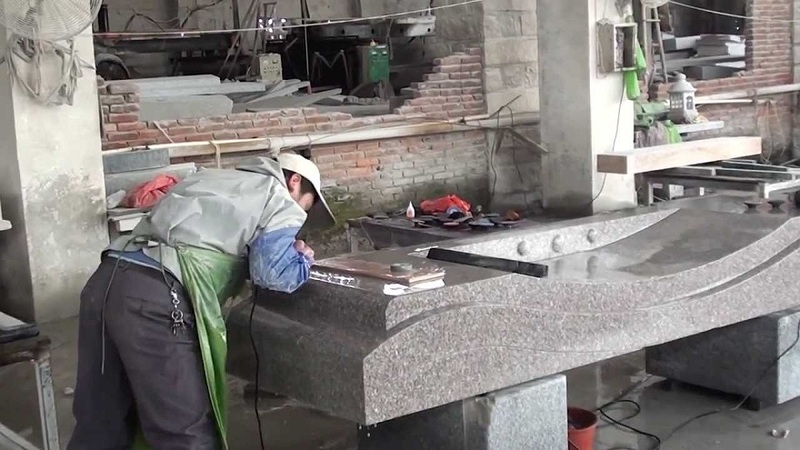 China is by far the top exporter of processed granite in the world. The upward trend in exports between 2001 and 2017 is really impressive, showing at the same time the tremendous growth of Chinese industry. 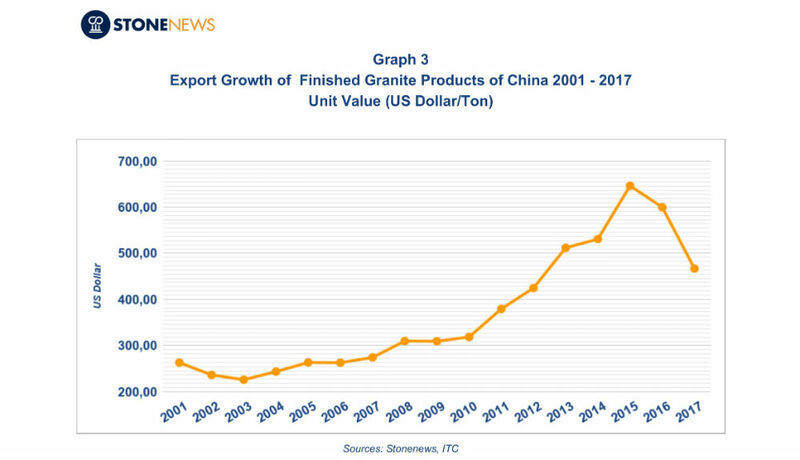 Stonenews.eu, after studying the International Trade Centre and National Statistical Services statistic reports, is presenting the growth in value, quantity and unit value per ton of processed granite exports of China from 2001 to 2017. 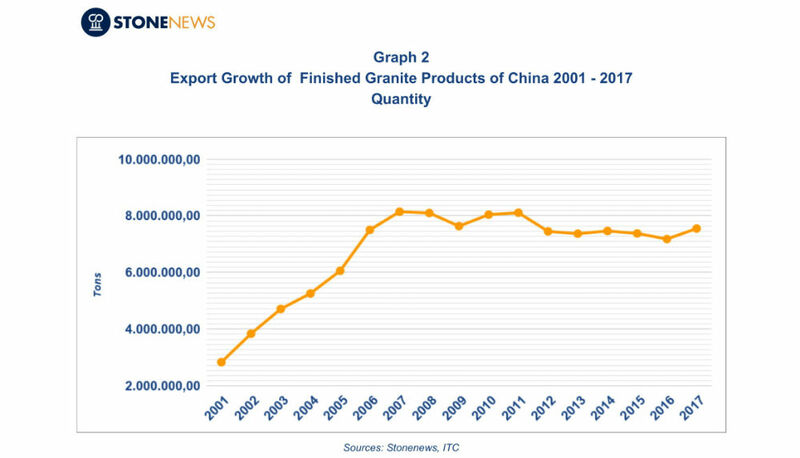 Since 2001, China has been by far the top exporter of granite, achieving a significant increase in processed granite exports over the years, while imports of raw granite have been increased at particular high rates as well. In order to understand the growth rate, it is enough saying that in the period 2001 – 2017, China’s export value was increased by 373%, the quantity by 166,39% and unit value per ton by 77,5%. At the same time, imports of raw granite were increased in value by 383% and in quantity by 136%. 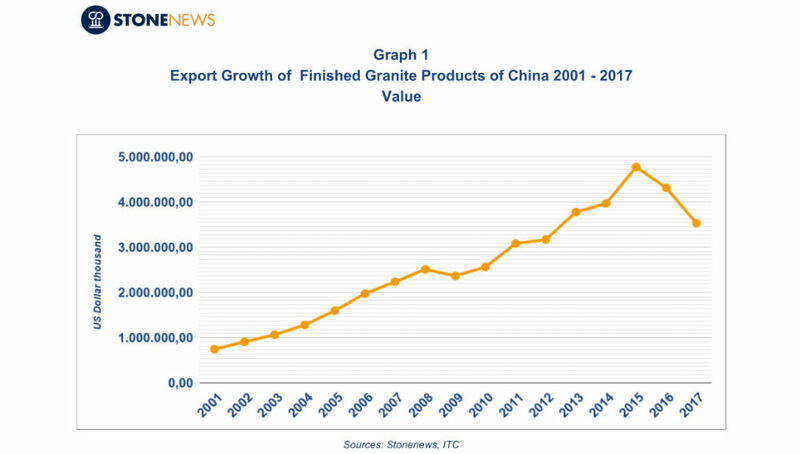 Chart No.1 is showing the rapid rise of China’s export value of processed granite from 2001 to 2015, when it reached a record high of 4.8 billion dollars. Between 2015 and 2016, it dropped by 9.68% and continued to drop even more in the period 2016-2017 by 18.13%. At Chart No.2 we can see the continuous upward trend of export quantity, which started in 2001 and stopped in 2007 when it reached a record high of more than 8.14 million tons. 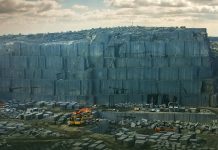 Since then, it has had downward fluctuations until 2012, when it balanced in an average of 7.4 million tons. Chart No.3 is showing the 14% decrease that unit value per ton had from 2001 to 2003. 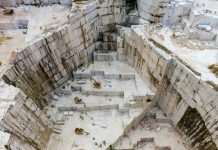 Since 2004, it began an upward trend until 2015, when it reached a record high of more than 646 dollars per ton. In the period 2015 – 2016 there was a 7.18% decrease, which continued in 2016-2017, decreasing even more by 22.15%. 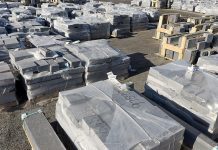 In conclusion, China’s exports of processed granite are affected by their leading destinations, which are Japan, South Korea, U.S.A. and Germany. The shares of these countries represent almost 50% of China’s total export value over time.